When you decorate your home with classic Indian pottery, you want to make sure you choose a gallery you can trust. With Toh-Atin Gallery, you can find amazing Hopi, Navajo, Zuni, and other Pueblo pottery in one location. 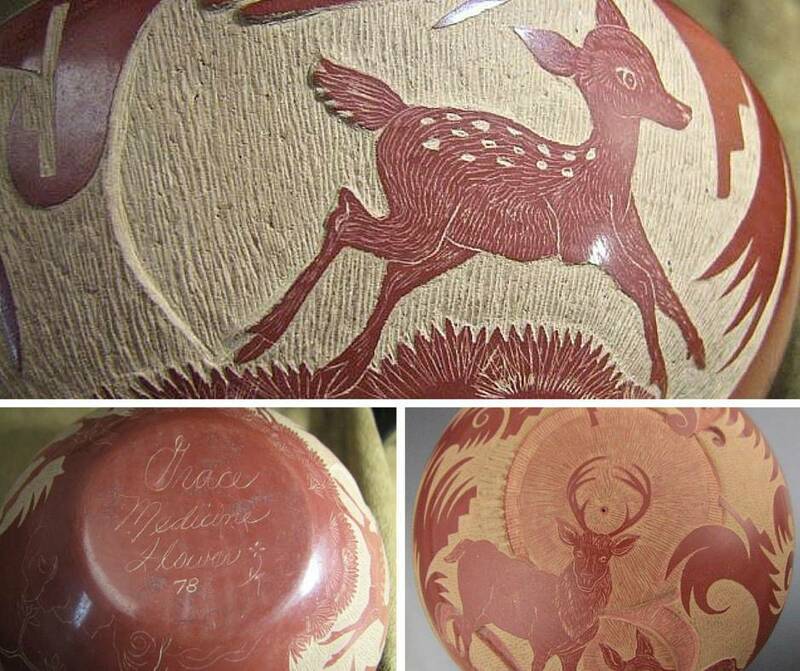 In Durango, pottery by the best Pueblo artists can only be found at Toh-Atin. With over 60 years of experience in Native American art, we are nationally recognized for our quality merchandise. As founding members of the Indian Arts and Crafts Association and members of the Antique Tribal Arts Dealers Association, our expertise with classic Native American pottery and crafts make us a trusted gallery for customers all over the world. We are proud to be the finest Indian art gallery in the state of Colorado, and we take pride in helping our customers make their homes and offices unique and beautiful with the lovely pieces they choose from the selection we have to offer. We know and work with the artists who supply the one-of-a-kind art and pottery in our gallery. You can feel comfortable that you are getting an authentic piece, made in the traditional manner with the artist's loving touch. Whether you are a collector of Native American pottery or you just want a piece to display in your home for your own enjoyment, we have many examples for you to select from and enjoy. In Durango, pottery from the Pueblo tribes can be purchased with confidence at Toh-Atin Gallery. For a unique addition to your home, let our gallery provide you with pottery you will love. Our friendly and expert staff looks forward to the opportunity to talk to you about this unique art form and help you to choose the perfect piece of art to add to your own decor.